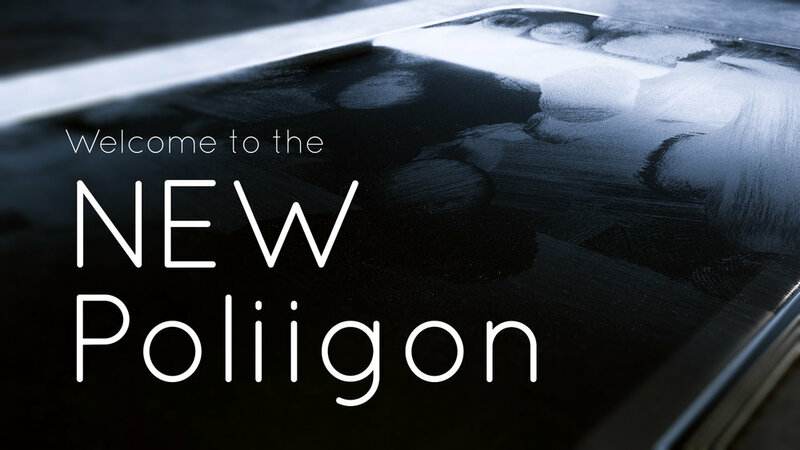 Welcome to the new Poliigon! We've been teasing a "new website" for months. And while it took way longer than expected, we're happy to say it's finally here! Visit Poliigon to check it out. The most notable change is a site-wide speed improvement. While the previous site was sluggish, the new Poliigon has a completely rewritten backend optimized for faster loadtimes! At times you can expect loadtime improvements of up to 92%! Try it out in the gallery. 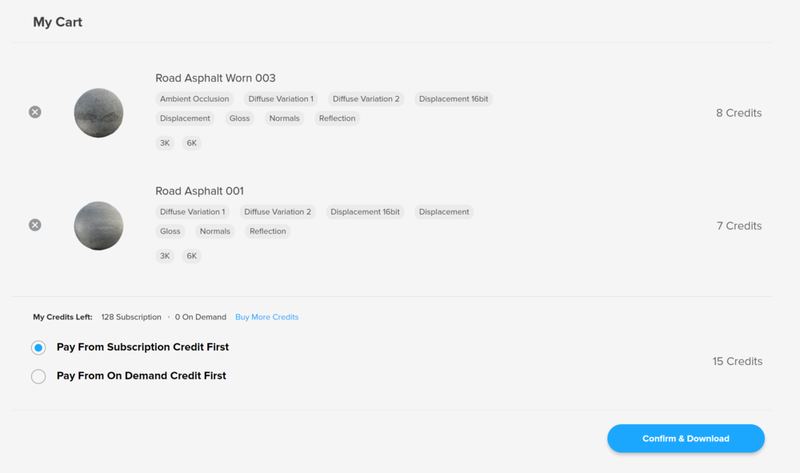 By far the biggest feature request from users of Poliigon is On-Demand credits, and we're pleased to say that it's here! For casual artists that only need a handful of textures every once in a while, you can now choose from a selection of credits packs. And best of all, they never expire! Another heavily requested feature: not losing the credits you don't use. To hang on to your unused rollover credits, all you need is an active subscription. When you're building a 3d scene, you often need to look through hundreds of possible materials. Which is why many users requested a way to save the materials they're interested in, in a cart system. 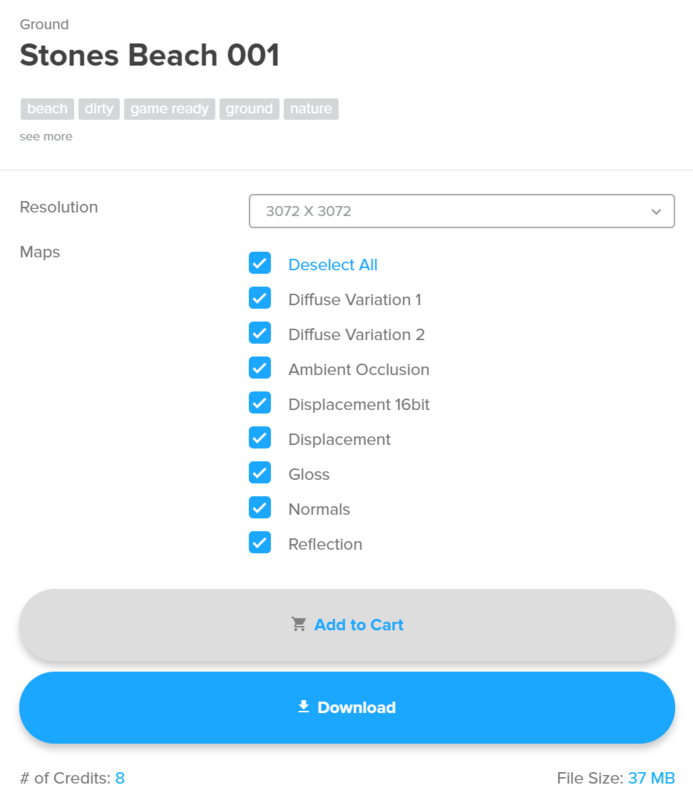 Now when viewing a texture, you'll see two buttons: Add to Download Cart or Download Immediately. Clicking the Add-to-Download-Cart button will save your download to your cart (which you can view by clicking the cart icon in the top right corner of your screen). There you can see every texture selected and remove them if needed. Previously on Poliigon if you only wanted to download only three of seven maps, you had to download them separately. This one is more of a UI improvement, because you could actually re-download your textures for free on the old site, but it wasn't stated anywhere. So we want to make it crystal clear: when you download it, you own it and can re-download it anytime for free! There's now a section in the sidebar called "Already Purchased" which takes you to the previously downloaded textures. Note: In future clicking the sidebar link will display the items in the search results to make it easier. When we launched Poliigon, we wrongly assumed that credit card support would be enough. But we quickly discovered that Paypal was the only option for many countries and age groups. That and some people just prefer it! So we're happy to say that we finally support Paypal! :D If you want to change your billing details to Paypal, you can do so in your Billing Info settings. A future update will add sub-categories, an asset counter, and a library homepage (similar to the old site). From everyone here at Poliigon, we hope you find the new site easier and faster to use! If you have any questions, feel free to email us at support@poliigon.com. What's your favorite new feature? Do you have a request that wasn't included here? Let us know in the comments!